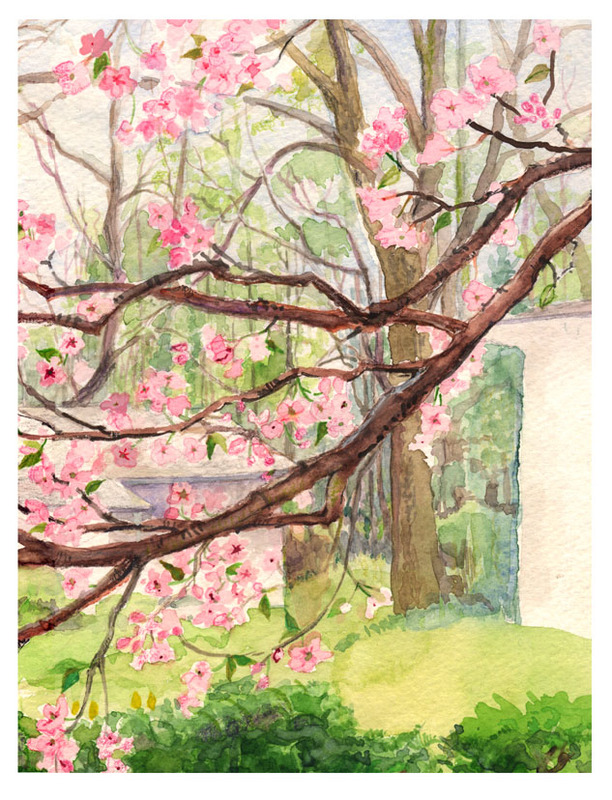 SPRING is a time of earthly reminders of God's promise of renewal and resurrection. It's coming in fits and spurts this year. In March we have had four Nor'easters! 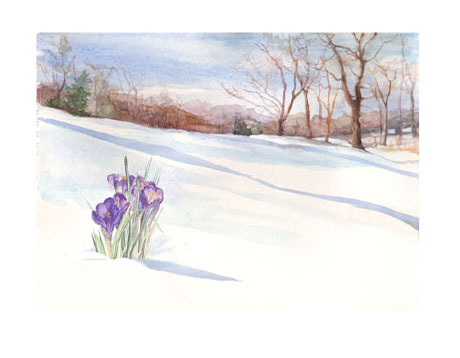 Crocus were in the snow which melted and returned over and over, yet they survived. Some people will have Daffodils. Mine are not doing anything yet. There are broken tree branches all over the commons here. It's hard to know what's next, I hope it's not another storm. Still "Life" is beginning to change the landscape. The spiky day lily beginnings are up. The high is supposed to be 49 today and 50 tomorrow. 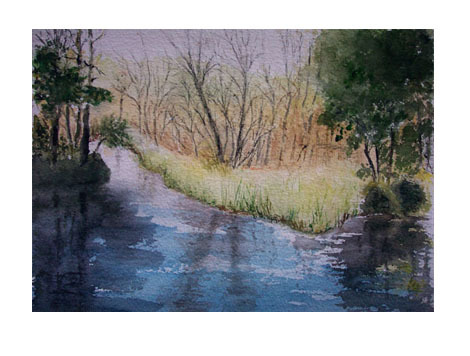 The watercolor below (by my mother) of the stream that runs into "Pakim pond" in N.J. is what the state of development should be by this time of year yet the snowy crocus is where we are. The jack-in-the-pulpit and blooming cherry are from another year in my own backyard! Well, It's May now. The cherry tree bloomed last week and the Jack- in- the- Pulpits are blooming in the woods! 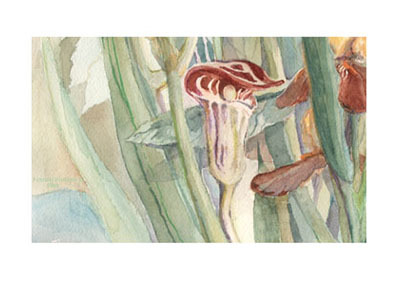 These original watercolors are printed on a quality watercolor paper There are eight assorted cards in a gift box, two of each design on sale for $12.